Daylight is a natural resource and is completely free. Natural light improves the working environment and is vital for good health and well being. 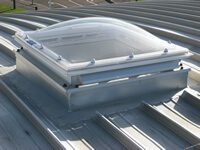 Rooflighting is 30% more efficient than the equivalent area of vertical glazing and provides a far better spread of light. 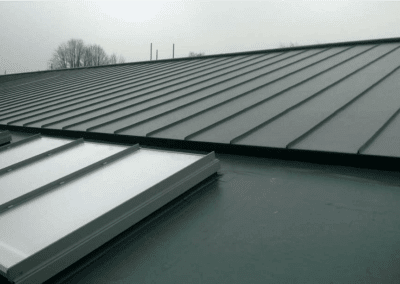 Rooflights are available to suit all of the roofing system ICS install. They are available in various build-ups to achieve thermal requirements and are mainly produced in GRP or Polycarbonate. Both materials are should be non-fragile. Rooflights do not only provide light. 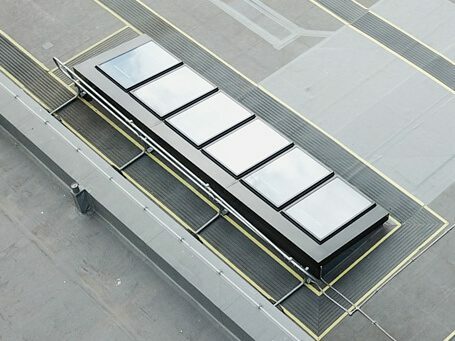 Rooflights can be used for natural ventilation, for smoke ventilation and opening to allow safe access to roof areas. 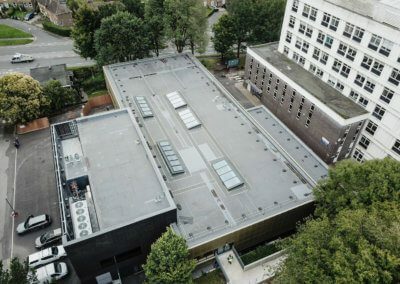 Description: As part of the overall building envelope package ICS designed, supplied and installed opening domelights into the aluminium roof covering. 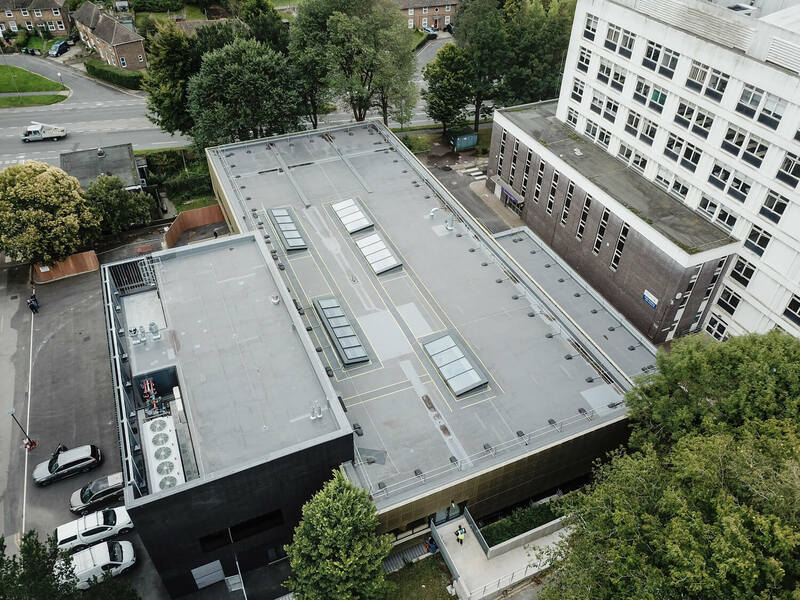 The upstands were welded into the roof system providing seamless aesthetics and equally seamlesss waterproofing.